Welcome to Ebb Tide condos! We would like to extend warm greetings to everyone visiting or living in the area. Here at Ebb Tide we offer incredible oceanfront vacation rentals all year round. Enjoy our pool or simply walk a few steps to the beach and see why we are New Smyrna Beach’s premier vacation spot. 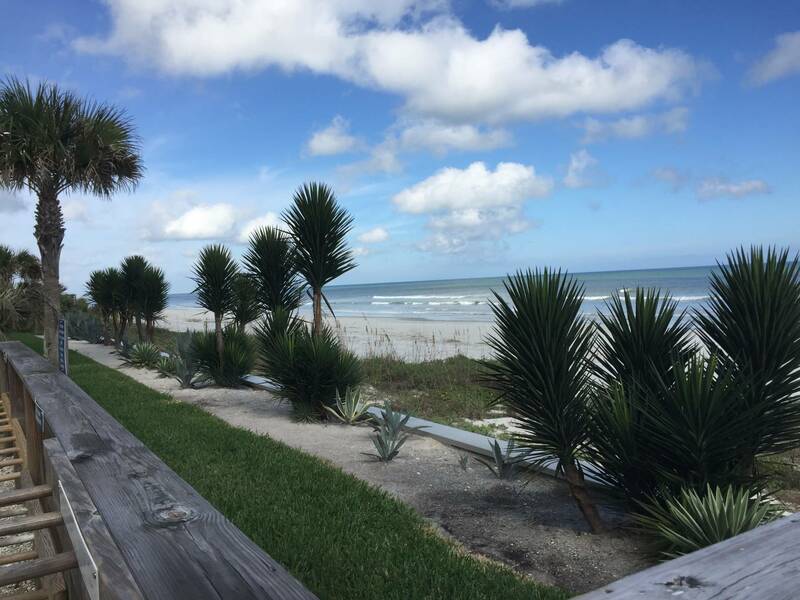 New Smyrna Beach brings you a modern approach to vacationing nestled in a laid back quaint town. Our city is renowned for it’s culturally rich history and it is home to the annual NSB Jazz Festival where people all over Florida come to listen to the finest Jazz musicians. With pristine beaches that spreads for miles there are various water sports and outdoor activities that will guarantee to keep you and the family busy throughout your stay. National Geographic and Surfer Magazine listed our city as the world’s 20 best surf towns. From swimming, kayaking, boating, fishing, paddle boarding, windsurfing, golfing and exploring Florida’s parks to live theater we have it all. Come join us in the experience of a lifetime. We are conveniently located just an hour away from Walt Disney World, Universal Studios, Cirque du Soleil, Cape Canaveral and all of Orlando’s top attractions and restaurants. View and reserve your oceanfront unit today!